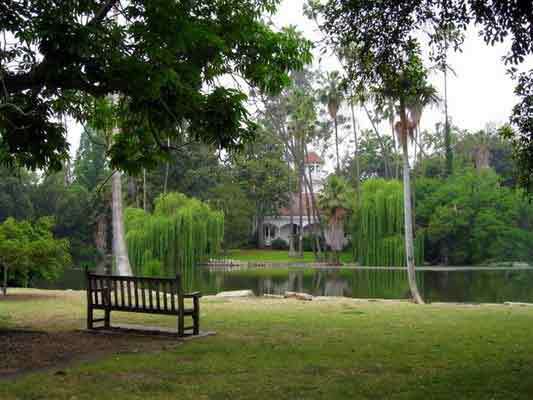 The Los Angeles County Arboretum & Botanic Garden provides some of the most naturally beautiful and unique settings for your wedding ceremony or receptions that this wedding minister has seen. Your wedding and reception can be as intimate as you’d like or you can invite as many a 25o guests. All wedding ceremonies and receptions begin after 5:00 p.m.
After having the opportunity to be the wedding minister at numerous weddings at the Arboretum, I am impressed by the variety of popular wedding locations in the Arboretum. Those beautiful settings include the Bauer Lawn with its surrounding fountains, Queen Anne Cottage lawns, Rose Garden, the Waterfall at Meadowbrook, and the Sunset Demonstration Garden. The intimate Rose Garden and the tropical waterfall, with their lush flowers and plants, are picturesque settings for a perfect and intimate wedding. For your convenience, all catering is provided exclusively through the Arboretum on-site caterers, the Fresh Gourmet, at the Peacock Cafe. 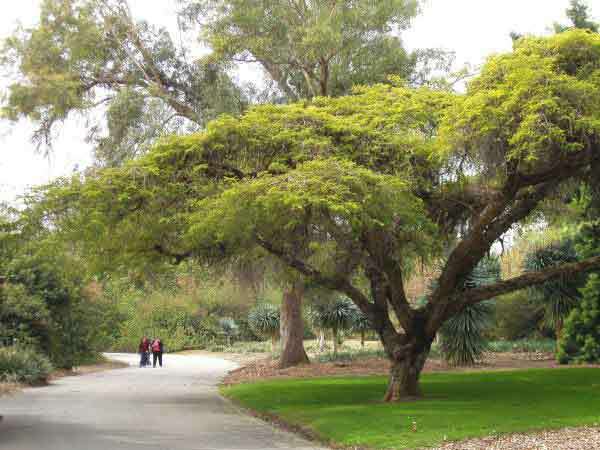 Filming and photography fees are waived on the day of the wedding if reservations are made in advance at The Los Angeles County Arboretum & Botanic Garden. Bridal couples may utilize all Arboretum sites for photography. Cut & paste this URL into your web browser http://www.arboretum.org/ to find out more information about the Arboretum of Los Angeles County. I wish you a wonderful wedding ceremony or reception at the Arboretum of Los Angeles County or anywhere in Los Angeles County or Orange County, California. Please consider having the Officiant Guy as your wedding minister.